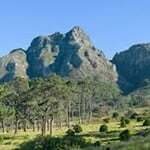 The Silvermine Nature Reserve is also part of the Table Mountain National Park and covers the terrain from Kalk Bay all the way to Constantiaberg. This area also contains a river, Silvermine River, which flows all the way from the Silvermine reserve to Clovelly. This area is now an important conservation reserve. The Silvermine Nature Conservation works very hard at protecting the indigenous fynbos of the area and boasts spectacular results! The Silvermine area is practically clear from all alien vegetation allowing for the indigenous and endemic plants to flourish. The Silvermine Nature Reserve has even built boardwalks over the roots of some of the trees to protect them. There are ancient trees scattered in this area such as; Cape Beech, Milkwoods and Yellowwoods to name a few. Animals can be found in the Silvermine area too such as; antelopes, gazelles, steppe lynxes, porcupines and genets. There are plenty of trails to keep avid walkers busy, starting with, rather gentle walks, ideal for the whole family to more strenuous walks that involve a little climb and are slightly longer. This is for those not so fit just wanting to get out into nature! It is quite a level route running beneath the famous Twelve Apostle Mountain Range with great views overlooking Camps Bay. It is suitable for all ages and varies from 1-2 hours. This route is known as the Pipe Track as it is named after the pipeline that runs next to the track, which was built in 1887 to conduct water from the reservoirs on Table Mountain to the surrounding areas. This is a leisurely stroll through forests and fynbos and is suitable for the whole family. The route takes you to Kirstenbosch Botanical Gardens. 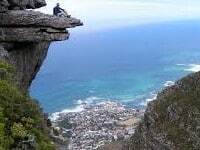 As an alternative it is possible to lengthen the route as far as Devils Peak via Rhodes Memorial. The route is very well shaded, making it suitable as a summer’s hike. The route has stunning views over False Bay & Kirstenbosch Botanical Gardens. Signal Hill is a prominent landmark from which the historic noon gun is fired, and forms the “lion’s body” for the adjacent Lion’s Head mountain top. 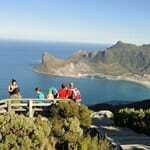 Signal Hill rewards hikers with spectacular views across the Cape Town harbour, city and Atlantic Ocean. The suburbs of the city surround Signal Hill on almost all sides. 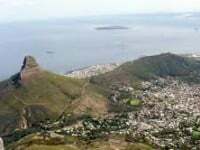 The area surrounding Signal Hill, on the city side, is significant to the Cape Malay community, who historically lived in the Bo-Kaap quarter close to Signal Hill. There are a number of historic graves and shrines (kramats) of Malay leaders on the slopes of Signal Hill. There are various routes from 30min – 1hour. Sundowners on top of Signal Hill can be arranged at the end of your hike (please enquire). A short climb brings you to the lower contour path, which runs from just above the lower cable station across the front face of Table Mountain towards Devils Peak. This is a easy hike with great views across the city. This hike is ideal for those who do not quite have the enthusiasm to ascend to the top of the mountain. Enjoy the fresh mountain air, fynbos and beautiful waterfalls (seasonal). The Yellowwood trail at Kirstenbosch can be combined with strolls through neighbouring Cecilia forest and Newlands forest. It is a good choice for a hot summer’s day hike. It is also a great hike to do with children, as it’s manageable within a couple of hours. It can also be extended into a whole morning – experiencing delightful pools along the way. Most importantly, the walk takes one through what remains of beautiful afromontane forests in the foot hills of the mountains at Kirstenbosch and is filled with massive trees like Yellow Wood, Cape Beech, Iron Wood, Stinkwood, Hard Pear, shrubs, ferns and a series of wild ‘monkey rope’ vines . In total the Yellowwood trail is about 3 km. Not much, but there is both a pretty steep ascent and descent, and for the avid hiker, this is pretty much a waste of time if you’re looking for exertion. A gentle mountain climb with superb views of False Bay, including Simon’s Town, Hangklip and Kalk Bay harbour nestling peacefully below. You will be surprised at the height to which you climb with very little effort. It is possible to extend this experience by up to three additional Peaks, namely St James Peak, Muizenberg Peak and Steenberg Peak. This hike is very highly recommended, with it’s spectacular views and is not to frequented. Approximately 1-3hours. Flowering during spring, from August to December, is a pretty and very special little heath, called Erica urna-viridis. (The Latin name means an erica resembling a green urn). It is a delicate almost white-greenish erica, sticky to the touch. What is so special about it, is that it occurs only on this mountain, above Boyes Drive, and nowhere else in the world. The Shipwreck Trail: Is named after the many ships that floundered here. The route outward route follows the coastline passing various wrecks, visible from the beach. It is a circular route, you return on the escarpment through the fynbos. Approximately 2 hours. Antoniesgat Trail: This trail winds along the False Bay coast. One of several caves eroded into the coastal cliffs by the pounding waves. Along the way visitors will enjoy magnificent views of False Bay and Hottentots Holland Mountains, the historic Cape Point lighthouse, and Vasco da Gama Peak. Approximately 1-2 hours. Cape Point to Cape of Good Hope: The trail descends through fynbos to the cliffs above Dias Beach (accessible by wooden stairs) and then continues to the viewpoint at Cape Maclear. Steps have been provided for the descent to the Cape of Good Hope – the most south-western tip of the Cape Peninsula. On the right hand side of Table Mountain, behind Signal Hill, is the distinctive shaped mountain slope, Lions Head. It was originally given the name by the 17th century Dutch settlers, as it resembles a crouching lion. This proud lion overlooks the city and Table Bay on one side, and the scenic Atlantic Ocean coastline on the other. On a clear day the views of Table Mountain are spectacular. One has a bird’s eye view of the City Centre and the surrounding beaches. It stands 669m above sea level and can take between 1-2 hours to climb. The somewhat steep walk winds its way around the Head until you reach a collection of staples and chains, there to aid your scramble up the remaining rocky faces to the top. If you’re not feeling like a scramble, one can choose to take the slightly longer path which continues it’s way up to the summit without chains. This hike follows the route discovered by the original explorers to the top of Table Mountain. This is the shortest climb to the summit (app 2-3 hours) and is quite steep, but not technically challenging. The trail offers spectacular views all the way to the top with Devil’s Peak and Lion’s Head flanking the mountain on either side. Take time to marvel at the views over Table Bay, Robben Island, Signal Hill and the City of Cape Town while also admiring the fynbos and overwhelming rock formations. At the top of the gorge a short 10 minute walk takes one to the cableway to take in the unrivalled panorama in all directions – look down on the beaches of Clifton and Camps Bay and south over the Cape Peninsula and the majestic Twelve Apostles. One can also walk to the highest point, Maclears Beacon. This takes plus minus 30 minutes and the route is quite flat. This is an ideal hike if you seek a proper workout within about an hour . 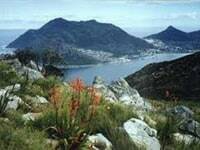 The views over Llandudno and Hout Bay are breathtaking. This peak, which separates Hout Bay from Llandudno, got it’s name as a result of it’s very similar shape to that of Lions Head. This is a fairly short hike. There is a small amount of scrambling at the top; each of the scrambles elevating you one to two meters at a time. This walk is definitely worth doing. Devils Peak lies to the northeast of Table Mountain, separated from it by a saddle. The physically challenging path zigzags to the upper contour from where the saddle path ascends to Saddle Rock. The route then continues along a firebreak to the 1,001m-high summit of devils peak, where you will be rewarded with spectacular all-round views of Cape Town. This hike has other variations for the more adventurous at heart. Approximately 4-5 hours. This route is a variation of the latter and is much longer. The initial hike is up Skeleton Gorge(see above), but rather than descending via Nursery Ravine, we make our way to the highest point of Table Mountain. 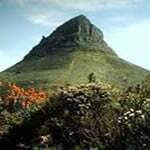 From the top of the gorge, we hike along the eastern flank of Table Mountain to Maclear’s Beacon, the highest point. Enjoy spectacular views over the whole of Table Mountain – all the way to Cape Point. This is a must do route as it offers views in all directions, including the reservoirs on the back table, interesting rock formations and a diversity of vegetation. This scenic route starts from Camps Bay and ascends on the western – or Twelve Apostles side of Table Mountain. It starts from the Pipe Track above Camps Bay . Admire the majestic ‘Apostles’ before starting the more serious hike up the gorge. 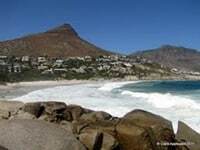 Stop to take in the panorama of the Atlantic Ocean, palm lined beach of Camps Bay, Lion’s Head and Robben Island. This path climbs a fairly steep ravine and pops out on the ‘back’ of Table Mountain, at the site of the original cable car. Upon reaching the top of the gulley you can turn right to take a closer look at the ruins of the old cable car. It was used in the 1890s to bring building materials up for the construction of the nearby dams. We now make our way to the Front Table – about 45 minutes away, passing through the Valley of The Red Gods and The Valley of Isolation. Take time to admire the intricate rock formations, pristine fynbos and breathtaking views. We arrive opposite Fountain Peak, between the Central and Western Tables. We are now at the top and have earned well deserved break before catching the cableway down or descending via Platteklip Gorge. Towering nearly 600m above the Atlantic Ocean, with dramatic cliffs dropping down to the sea, Chapmans Peak is one of Cape Town’s most spectacular hikes. Starting at a view point on Chapmans Peak Drive, the first 30 minutes involve a fairly steep climb along a ravine, to Chapmans Peak Nek, from here the path rises gently through stands of Proteas, before reaching the summit. 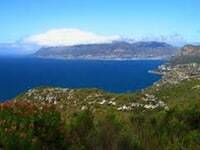 The 360 degree views from the top over Hout Bay, Noordhoek & Kommetjie are simply breathtaking. Approximatly 2-3 hours. The reserve is situated in part of the UNESCO declared Boland Biosphere Reserve. It offers beautiful hiking trails high in the Franschhoek Pass ranging from short 2 hour walks to day walks. Spectacular fynbos diversity includes proteas, pincushions, ericas, restios and more. From the peaks and observation sites breathtaking views of the reserve and valley below unfold – as far as Table Mountain on a clear day. The Mowbray Ridge/Knife’s Edge route up Devils Peak is popular but relatively unused. The route begins at the Kings Block House and climbs steeply up Mowbray Ridge before moving along the Knifes Edge and then around to the minor summit of Devils Peak. This route is very steep and exposed in places and should not be attempted unless you are experience and/or with someone who knows the route. There is some scrambling up the steep rocks above the Block House which can be tricky for the less experienced. Some sections of the path have steep drop offs – this may intimidate those who are afraid of heights. The route passes along an area of Table Mountain known as India Ravine, because when viewed from the bottom it resembles the shape of India. The ‘Venster’ (window in Afrikaans and Dutch) is a point where the rock has formed a little window through which you can see some great views. The route starts directly below the cable station and follows the cable lines most of the way, which can be quite dramatic, as the cable car glides over your head. This route requires some rock scrambling, to get up the buttress between India Ravine and Africa Ravine. This route should be attempted only with an experienced and qualified guide. This route has areas of exposure and is not ideal for those with a fear of heights. Approximately 3-4 hours. We can arrange overnight experiences for 1-5 nights, ranging from a 1 night ‘up and down’ Table Mountain, a 1-4 day Table Mountain luxury tented camp experience, This is not camping, which means that accommodation is in mountain cabins, luxury tents or guest houses – and showers all have hot water! The philosophy behind the luxury tented experience is being able to walk from the front face of Table Mountain to just short of Cape Point. A shorter version descending to – or from Kirstenbosch Gardens is also available. We do however recommend at least 2 nights on the mountain – to truly appreciate the serenity – from dusk to dawn. The grading of these hikes are moderate, as it requires no scrambling or serious height exposure. In fact, the majority of the route is clearly marked and well laid out. Hikers get provided with a lunch pack, traditional South African barbeque dinner and a Continental breakfast in the morning. Accommodation is in luxury tented camps or mountain cabins (complete with beds and lighting).Warm showers are part of the package. Drinks, alcoholic beverages & sleeping bags can be arranged, if required. You are captained by a qualified mountain guide, bringing knowledgeable insight into this special experience on one of our Cape Town guided hikes.